Jatropha is a genus of nearly 175 species of shrubs, low-growing plants, and trees. However, discussions of Jatropha as a biodiesel are actually means a particular species of the plant, Jatropha curcas. The plant is indigenous to parts of Central America, however it has spread to other tropical and subtropical regions in Africa and Asia. By virtue of being a member of the Euphorbiaceae family, Jatropha has a high adaptability for thriving under a wide range of physiographic and climatic conditions. It is found to grow in all most all parts of the country up to an elevation 3000 feet. Jatropha is suitable for all soils including degraded and barren lands, and is a perennial occupying limited space and highly suitable for intercropping. Extensive research has shown that Jatropha requires low water and fertilizer for cultivation, is not grazed by cattle or sheep, is pest resistant, is easily propagated, has a low gestation period, and has a high seed yield and oil content, and produces high protein manure. Sewage effluents provide a good source of water and nutrients for cultivating Jatropha, though there are some risk of salinization in arid regions. Pongamia pinnata or Karanj is another promising non-edible oil seed plant that can be utilized for oil extraction for biofuels. The plant is a native of India and grows in dry places far in the interior and up to an elevation of 1000 meters. Pongamia plantation is not much known as like Jatropha, but the cost effectiveness of this plant makes it more preferred than other feedstock. Pongamia requires about four to five times lesser inputs and giver two to three times more yield than Jatropha which makes it quite suitable for small farmers. However, Pongamia seeds have about 5-10 percent less oil content than Jatropha and the plant requires longer period to grow as the gestation period is about 6-8 years for Pongamia against 3-5 years in Jatropha. To conclude, Jatropha can be successfully grown in arid regions of the Middle East and North Africa (MENA) for biodiesel production. These energy crops are highly useful in preventing soil erosion and shifting of sand-dunes. The production of sewage-irrigated energy crops has good potential to secure additional water treatment and thus reduce adverse environmental impacts of sewage disposal. 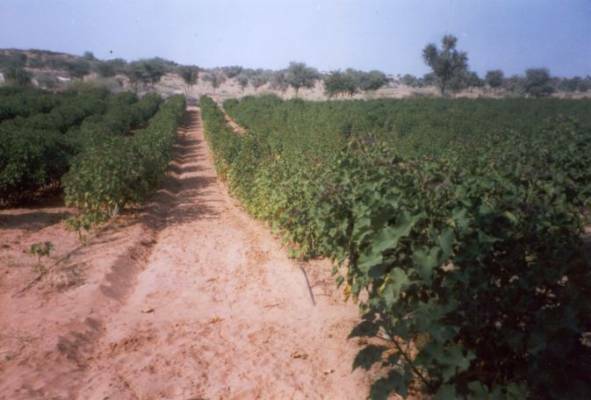 Countries in the Middle East, like Eqypt, Libya, Sudan, Jordan and Saudi Arabia, are well-suited to the growth of Jatropha plantations. Infact, Jatropha is already grown at limited scale in some Middle East countries, especially Egypt, and tremendous potential exists for its commercial exploitation. Tagged Africa, Arid, biodiesel, Biodiesel in Middle East, biofuels, Biomass, desertification, deserts, Egypt, Jatropha, Jatropha in MENA, Jatropha in Middle East, MENA, Middle East, Saudi Arabia, water requirement, What is Jatropha. Bookmark the permalink. Many thanks for the interesting article. 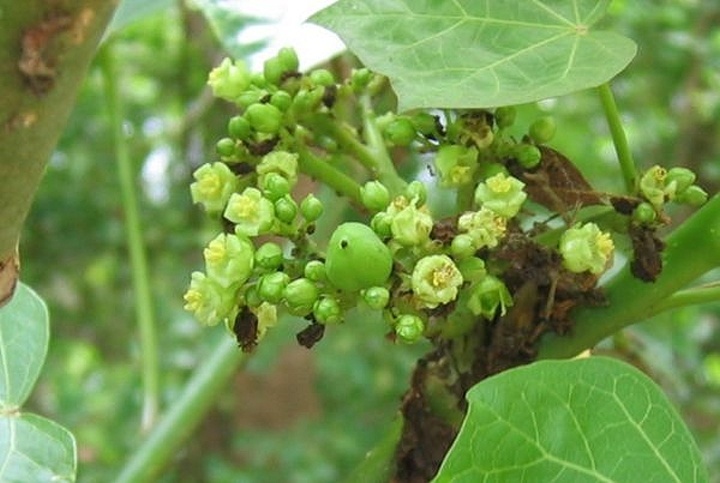 Jatropha c does have potential but it is important to view this holistically preferably from a systemic point of view. The cultivation must consider not just soil conditions and the benefit of saving fossil fuels but must also look at such considerations as land area required for culativation against energy output achieved, impacts of the use of fertilisers, energy efficiency of the machinery used for harvesting and the overall LCA. Most importantly consideration should be given to the fundamental need to consume any fuel rather than the type of fuel to satisfy that need. Thank you for the article regarding Jatropha. Its major advantage is regarding its growth on marginal lands not requiring agricultural lands. It also helps to minimize the soil erosion. While doing cost benefit analysis the system boundaries must be in accordance with whole picture.